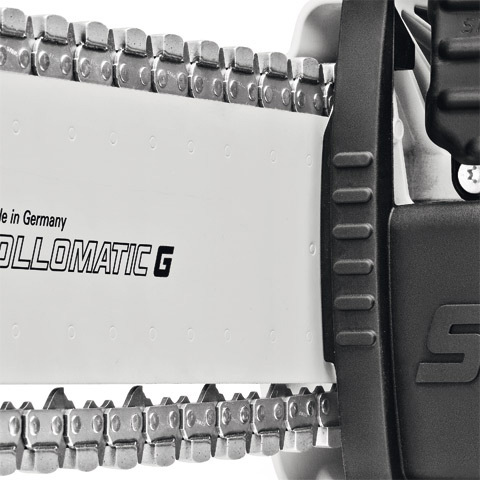 Specially developed for the GS 461, with pre-sharpened diamond segments for wet stone cutting. 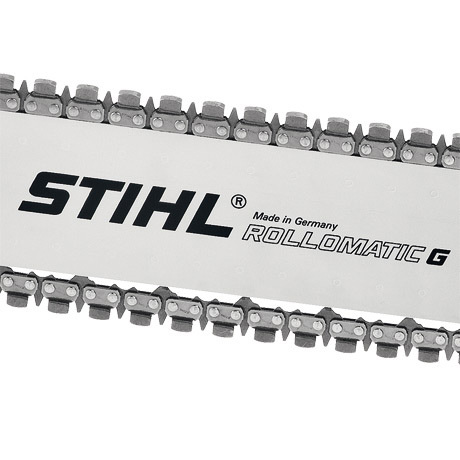 The chain delivers top performance from the very first cut, for quickly and smoothly cutting concrete, hard stone, brick and ductile cast iron pipes. 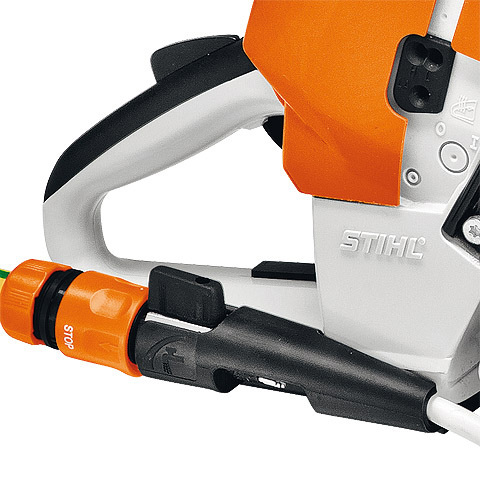 The STIHL GS 461 features a modern, low-emission STIHL 2-MIX engine. 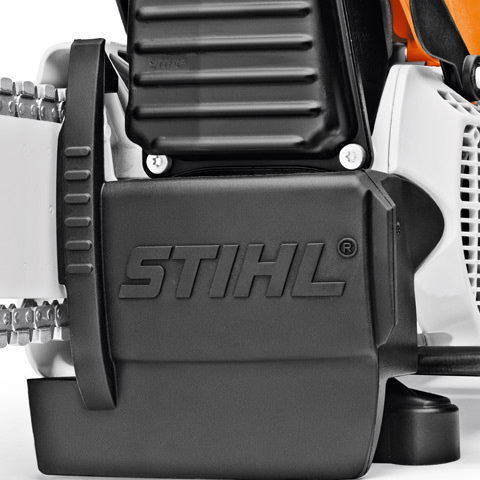 Depending on how the machine is used, 2-MIX engines consume up to 20% less fuel compared to STIHL 2-stroke engines of the same performance class without 2-MIX technology. 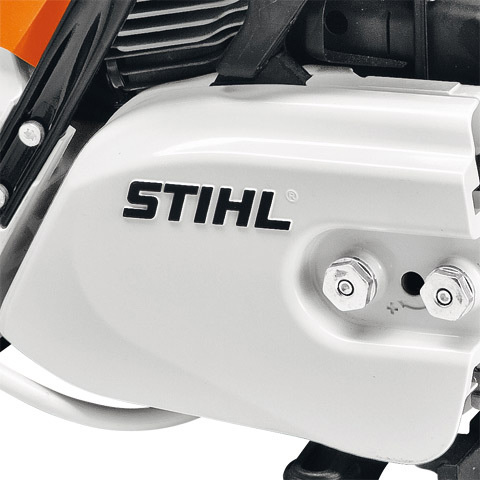 The 2-MIX engine also delivers great performance with high torque over a wide rpm range. 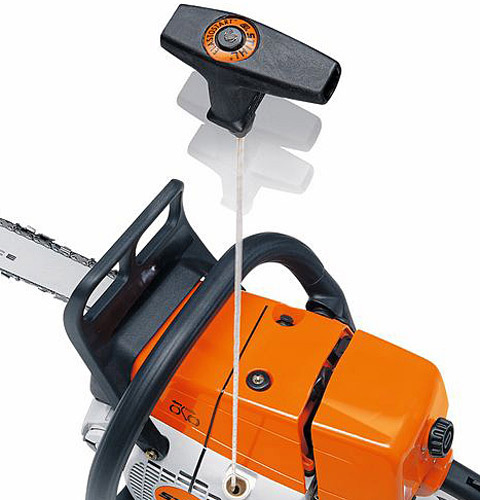 Allowing the chain and tension of the chain to be easily changed. 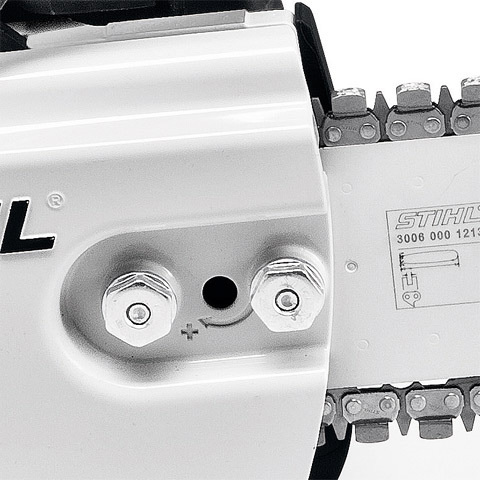 The water connection fitting is located on the tool and is raised slightly, making it easy to connect the tool to a water source. 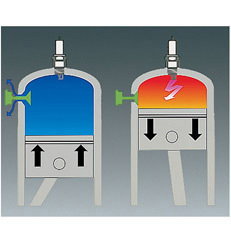 The water serves to suppress dust, as well as to cool, clean and lubricate the bar and chain. 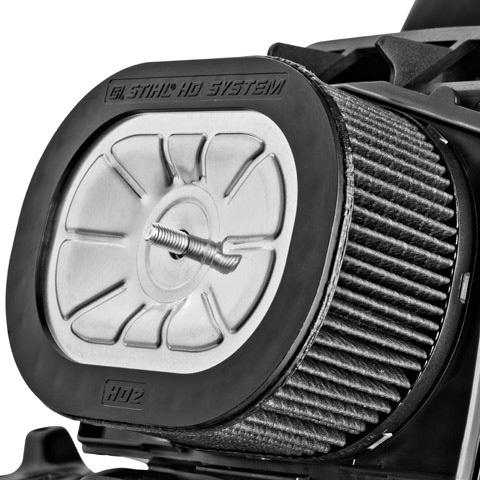 Water is fed through the sprocket onto the guide bar efficiently suppressing dust. 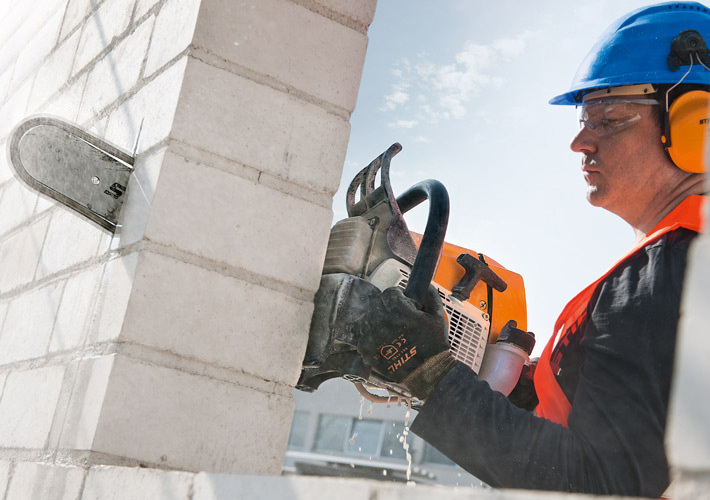 The decompression valve allows the starter rope of the machine to be pulled more easily, ensuring that the operator is able to start the machine comfortably. 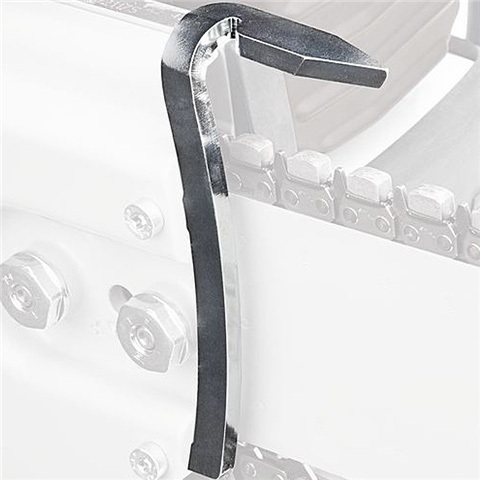 When cutting walls this large rubber guard protects the engine casing when the guide bar is fully inserted. 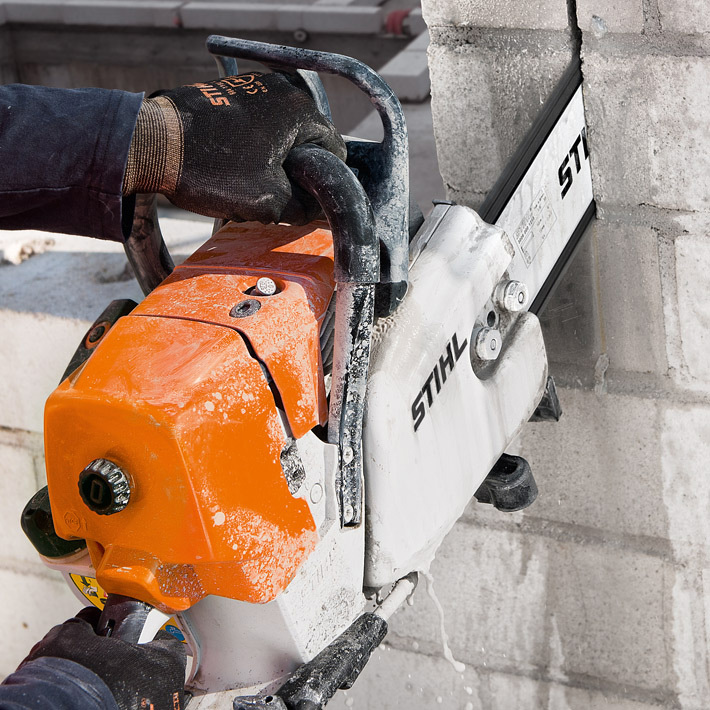 The long-life air filter system with HD2 filter and additional filter catches even the finest particles and prevents dust from entering the tool. 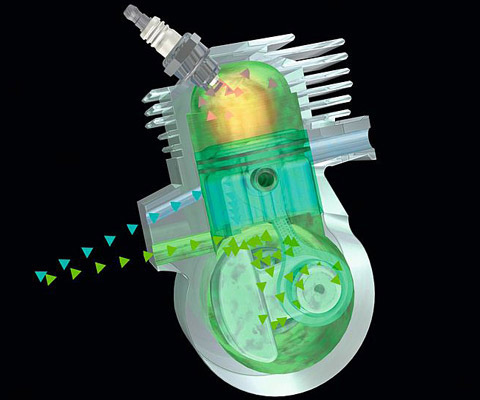 It protects the engine against wear, so that the tool requires only infrequent servicing. 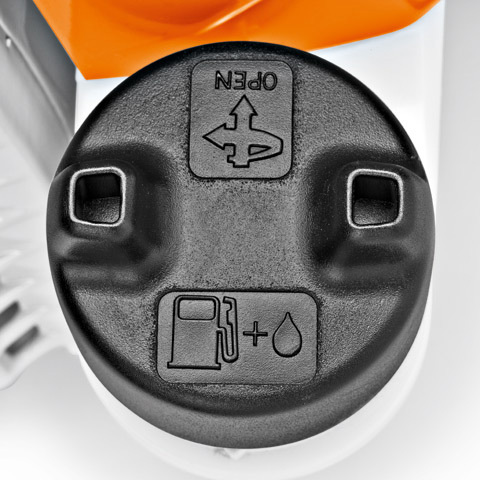 The bayonet fuel cap allows the fuel tank to be opened and closed easily and without using tools, and also prevents dust getting in.